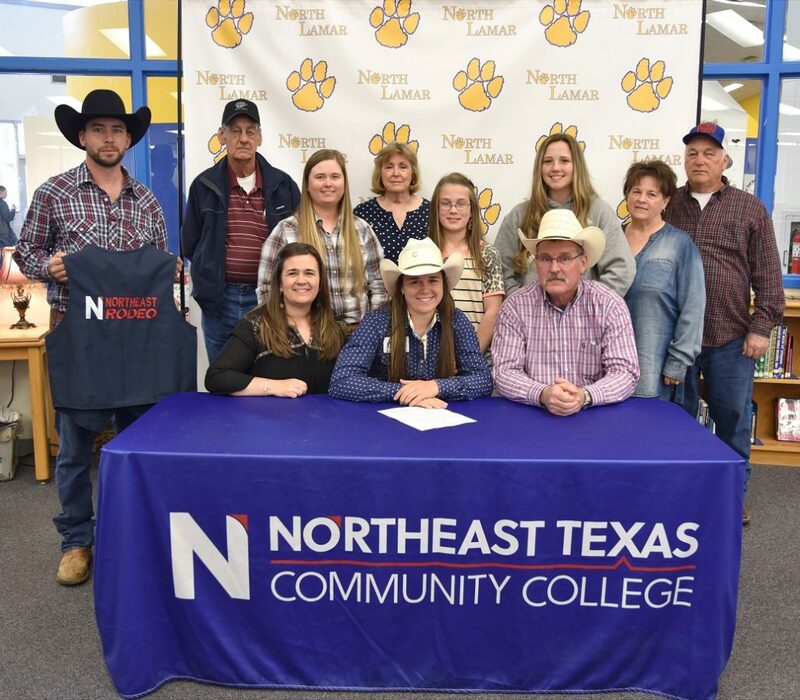 North Lamar High School senior Jessee Young, center, signs with Northeast Texas Community College in Mt Pleasant, where she will join the rodeo team in all-around events. Seated with her are her parents Whitnee and Johnny Young. Standing from left are NTCC Head Rodeo Coach Skylar Hunnicutt, her grandfather Pat Young, sister Chelcee Gernaat, grandmother Rebecca Young, sister Jodee Young, cousin Mylee Nottingham and grandparents Debbie and Charles Austin.